2019 will be our 14th annual One Book One Valley program. This project’s longevity is due to our community of enthusiastic readers, and the support of local libraries, schools, businesses and New Hampshire-based grant foundations. 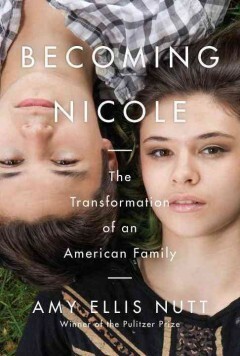 This year we will be reading and discussing Becoming Nicole by Amy Ellis Nutt. Our vision: Imagine if folks throughout Mount Washington Valley read the same book. Then talked about it. And THEN got to come together to meet the author at a special valley-wide event. One Book One Valley is successful because of you, the individual reader, and YOU, our community of readers, coming together. The brainchild of Conway Public Library’s Olga Morrill, who organized a group of librarians and book-minded community members in 2006, One Book One Valley is a community read program for the Mount Washington Valley area, similar to others offered around the country. Its mission is to strengthen community ties and promote literacy through reading and discussing a book with a theme that resonates locally. In order to enrich the book discussion experience, One Book One Valley organizers also plan an author visit and programs that relate to the book in some way. One Book One Valley is funded by a variety of sources. Most have provided support since 2006. Thank you!